Promoting Eritrean Music & Culture to the World Music scene. The Name “QieNit” is a Tigrinya word – means “Tunes” in English. 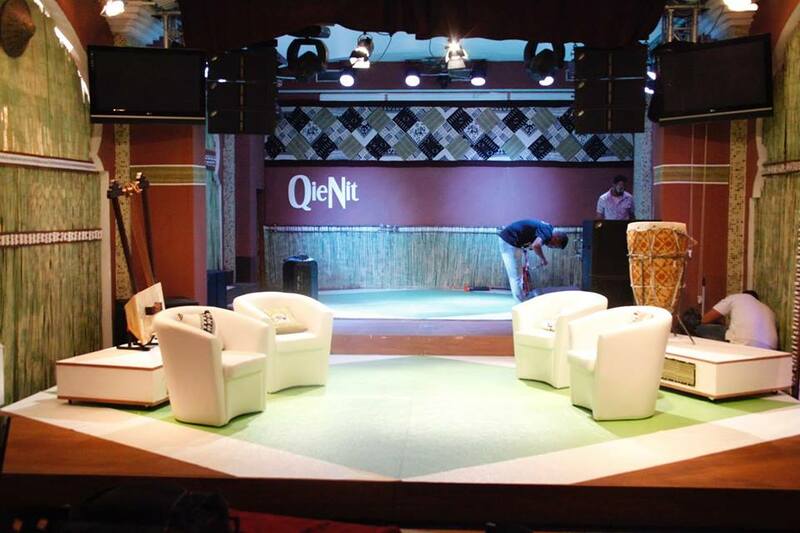 QieNit TV Talk show will be explosive and energetic 60 minutes-long show for each Legendary – promises to surprise, seduce, and entertain all. QieNit will be presented in Tigrinya; however subtitles in both English and Italian will be supported. 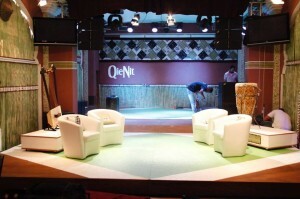 QieNit TV Talk show performance will reflect the tunes, styles and Memories of Eritrea hidden Legends to the world music. * Producer of SAT.GUEST – ERI.TV, which is a Television program that focus on the horn of Africa that brings experts, Journalist, Artist and prominent individuals. * Freelancer for BBC Oceans series and BBC Africa wildlife series. The Studio reflects Eritrean Culture in the Center of the Backdrop of Studio! “Kobros, Krar, Wata and Embilta” – The Eritrean music tuned to a pentatonic scale, a scale with 5 notes to the octave, is similar to Scottish, Chinese and Porto Rican music. Musical instruments in Eritrea vary from chordophone instrument such as Krar the most common instrument used throughout Eritrea. Rhythmic instruments such as drums are also common in Eritrea. Eritrean music has grown today and there are hundreds of musicians and singers, each bringing a unique style, featuring in the national and international scenes, who are introducing Eritrean music to the world. 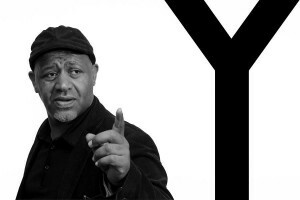 In each Episode we will invite 50-60 Audience to the show – A unique feature is that the audience is frequently asked questions in order to obtain their opinions, which gives them the opportunity to be ‘hands on’ to the Guest speaker or Artist, by getting them to make a personal contribution to the programme and actively think about Eritrean Music and Culture. EcoPlus is helped by this captcha php installed. Remembering Tsehaytu Beraki ‘Queen of Eritrea Guyla’ The Last Intimate Interview! “Abeba Gual Addis Abeba” Informal Conversation or a Spat amongst Ethiopian and Eritrean Artists? Copyright © 2019 QieNit.com. All Rights Reserved.